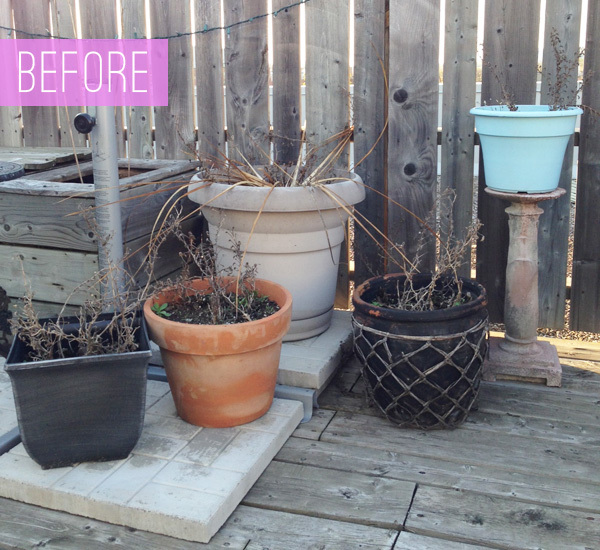 One of the first things to take care of for my patio beautification project is to give these super sad planters a makeover. It wasn’t in the budget to buy new ones and I didn’t want to fill up the landfill with more trash so I thought I could give them a makeover. I’m convinced there’s NOTHING some spray paint can’t help. 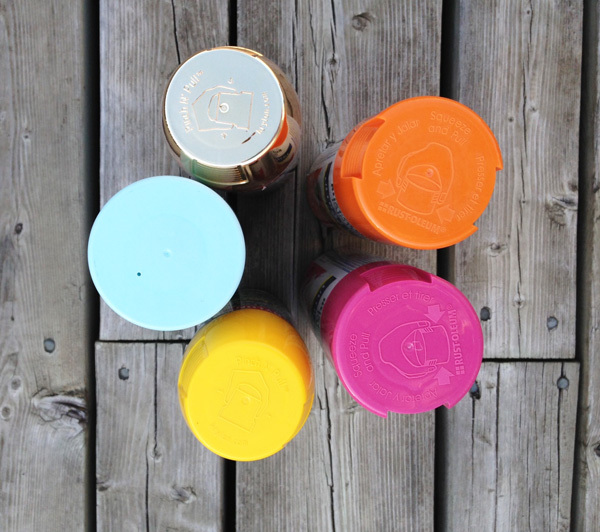 First – pick up a few of your favourite colours of spray paint as well as a bottle of gold. Set up your drop cloth and start spraying. I suggest a calm day with no wind. You’ll likely need at least two coats to cover nicely. Give them some time to dry (I left them for a day) then use your painters tape and cut up plastic bags to tape off your geometric shapes. I stuck with triangles. Once you have them all taped up it’s time for a little gold to make them look rich. You’ll end up with something like this. Give them two coats for good coverage. 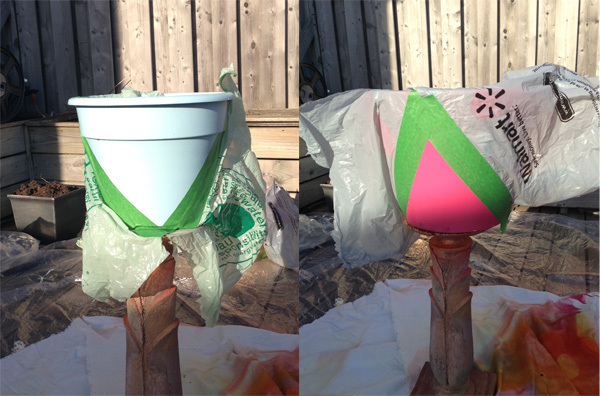 Then let them dry to the touch but not overnight because that green tape can end up taking some paint off with it if you leave it on too long. 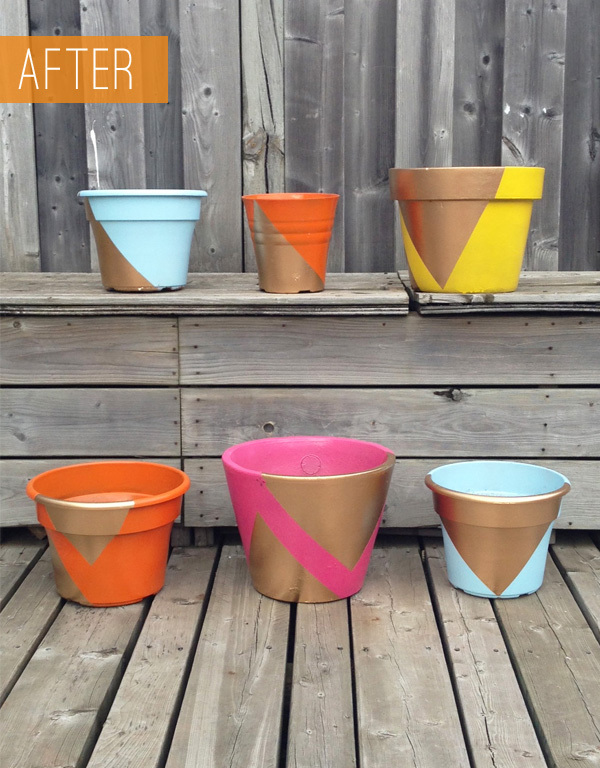 Then comes the best part – carefully remove the tape and check out your new, modern, geometric, colourful and awesome pots! Now they just need to be filled with some beautiful flowers. WoW! 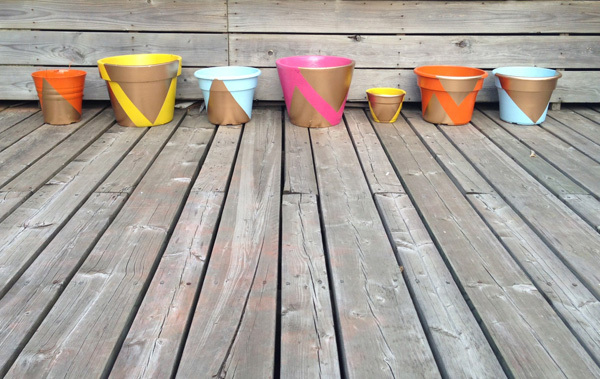 you just gave a new life to these pots. I loved the combination of gold and orange.